The Ski Train, a Colorado tradition departs Union Station 2-3 days a week shuttling skiers from Denver to Winter Park. 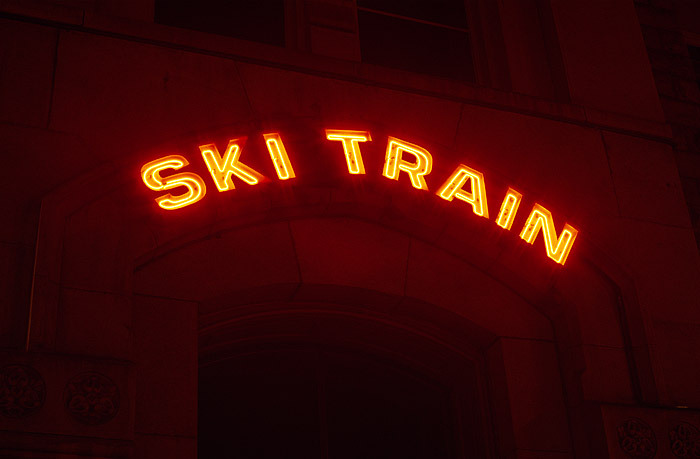 The Ski Trains neon sign lights the night air at Union Station. Photo © copyright by Thomas Mangan.